On September 2, 2015, the photograph of a dead Syrian child named Aylan Kurdi brought the world's attention to the plight of refugees, which until then was invisible to the eyes of the West. That day, on a nearby beach, a girl with cerebral palsy named Nujeen Mustafá boarded a small boat in her wheelchair and made a 5,000-kilometer journey to freedom, far from the horror and barbarity of her hometown of Aleppo. Her story, which is chronicled in her book, 'Nujeen,' which was co-written with journalist Christina Lamb, has turned her into a symbol of break down all imaginable barriers. She is the vivid image of hope, courage, and determination, of the right of millions of refugees not to be seen as mere numbers, but to be able rebuild their lives in a safe place. And this young Kurd, Nujeen Mustafá, is also a big Barça fan. Nujeen had a dream—to meet her heroes: Leo Messi and the rest of the Barça players. Barça, and its Foundation, which is very committed to the refugees, wanted to make her dream come true. 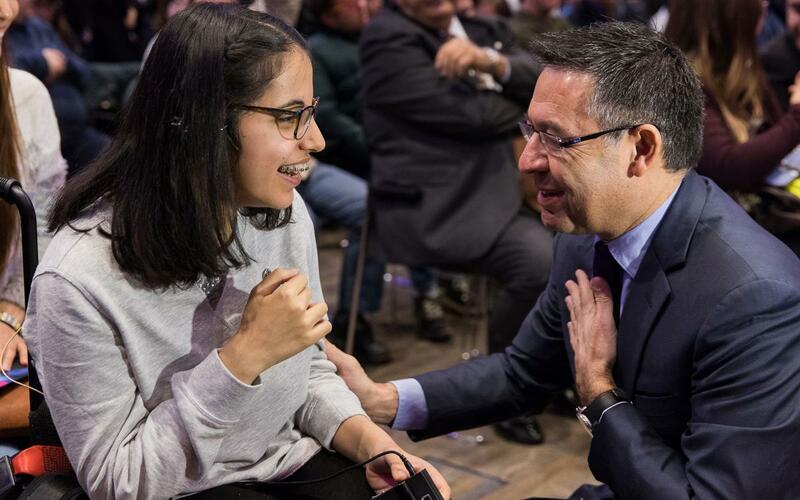 Nujeen, thus, has inspired the Club’s holiday campaign, which is being presented today at an event in the Auditorium 1899 with the presence of FC Barcelona president Josep Maria Bartomeu, the CEO of the Foundation, Maria Vallès, and Nujeen herself. Nujeen’s Dream has inspirted a spot and a documentary that the Club is using in its holiday message, not only to its members and its millions of fans from all over the world, but to all of society. Follow the story, as Manu, the Barça team’s bus driver, is summoned by Gerard Piqué to pick up Nujeen in Cologne, Germany—where she currently lives—and bring her to Barcelona, ​​where she can attend a match at Camp Nou and meet her idols.